In evaluating whether or not a school could be a fit for your child, you are going to be looking at how the school addresses a number of needs – academic, social, athletic, artistic, even moral. You are going to be judging how well the school does what it says it does, and whether or not what they do also matches what you believe in. 1. Does the type of school fit your family? Are you a loosely structured family or a more traditional family, or somewhere in between? More traditional families are generally more interested in traditional, academic, more formal schools; more loosely structured families might be more interested in “progressive” or developmental schools. You should see families like yours at schools that feel like a fit. 2. What is your child like? How do they respond to structure? Will they fare better in a larger physical environment or a smaller one? With more students in a classroom or fewer? Do they need a lot of one-on-one time or are they fairly independent? 3. How does your child learn? How does the school teach? Do you think they can accommodate his style of learning? 4. If entering Kindergarten, is your child ready-to-learn? Are they ready for a full school day, and the social, emotional and physical independence required in Kindergarten? 5. Does the school offer additional resources if your child is struggling academically? Does the school offer additional resources if your child is gifted? 6. If entering middle or high school, does the school offer enough classes and enrichment in the subjects of particular interest to your child? 1. What does a typical day look like? Is a schedule posted for children and parents to see? Are parents invited into the classroom? Are there opportunities for parent involvement? 2. Does the school communicate with parents in a collaborative way? Is there a culture of openness in communication with teachers and administration? 3. Do children sit at assigned desks, either individually or in small groups? 4. Is there homework, and if so, how much? 5. Are there textbooks, and how often are these updated? Are they grade-appropriate? What other resources do students have access to? 6. Where do graduates tend to go on to middle school, high school or college? 7. Is there on-going professional development for the teaching staff? Is the school accredited? 8. Does the school share its curriculum with parents? Does the curriculum match the school’s philosophy? So, for example, a highly academic school might see its role as providing foundational skills and knowledge, so that the student learns to perform at a high level of academic achievement; whereas a more developmental or progressive school might see its primary role as cultivating the student’s love of learning, and discovery of their own interests and abilities. Of course all schools should do both, but what they consider to be of primary importance will direct the curriculum, the instructional philosophy, and the feel of the school day. 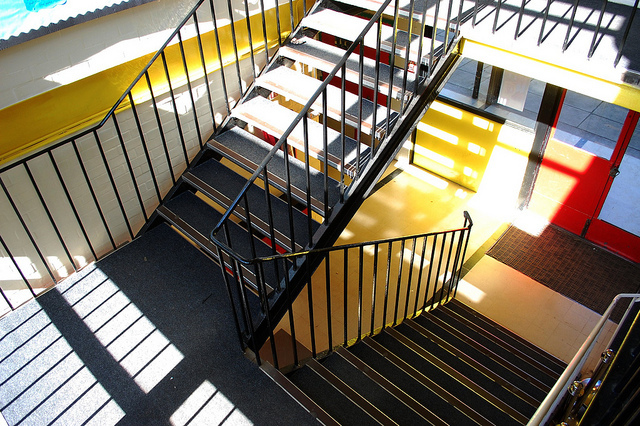 What would your ideal school look like? If you can take a step back and put yourself in your child’s shoes, what do you think they would say their ideal school should look like? While you want to be comfortable with what is happening at school, ultimately the school should be a fit for your child. 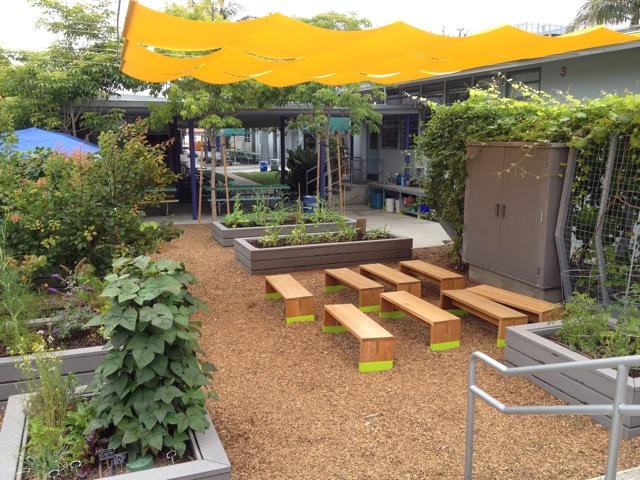 The gorgeous Wildwood School garden takes inspiration from Richard Louv’s national bestseller Last Child in the Woods a popular read for the Wildwood School community during their elementary campus outdoor space renovation a few years ago. In the book, Louv comes to a startling conclusion: Today’s children can likely tell you more about the Amazon than they can about the last time they went on a hike. 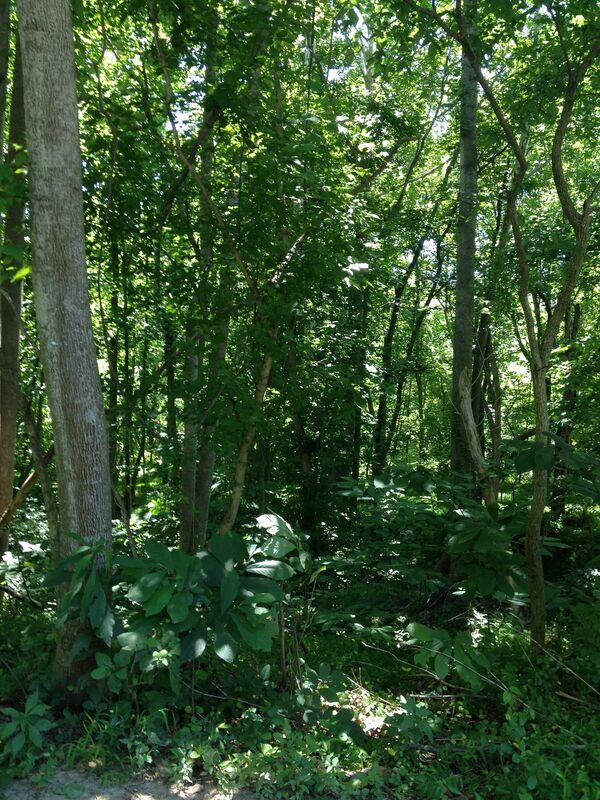 More and more, urban children are becoming alienated from nature—and it’s not healthy. 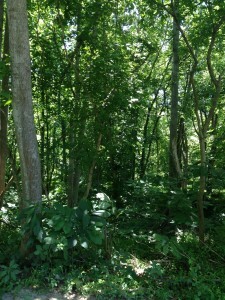 In fact, Louv reports that researchers find a direct link between nature and children’s physical and emotional well-being. 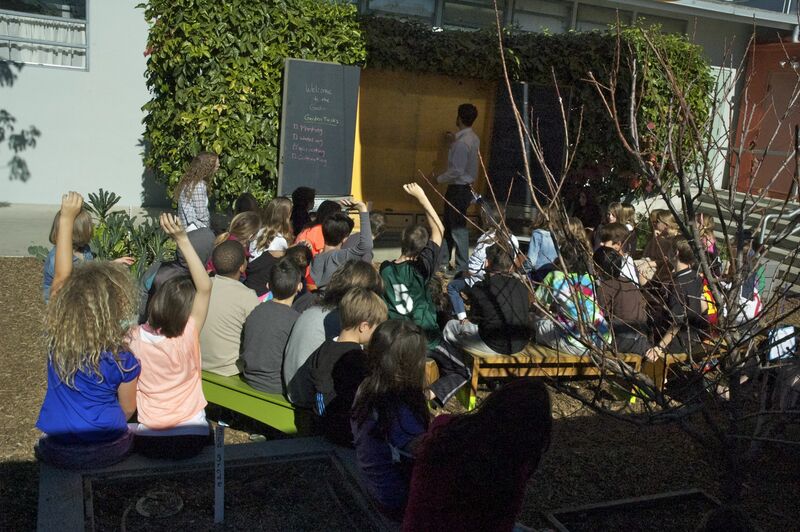 Wildwood School built a lively area called the Outdoor Classroom that features raised planting beds, trees, an outdoor whiteboard, and classroom area. 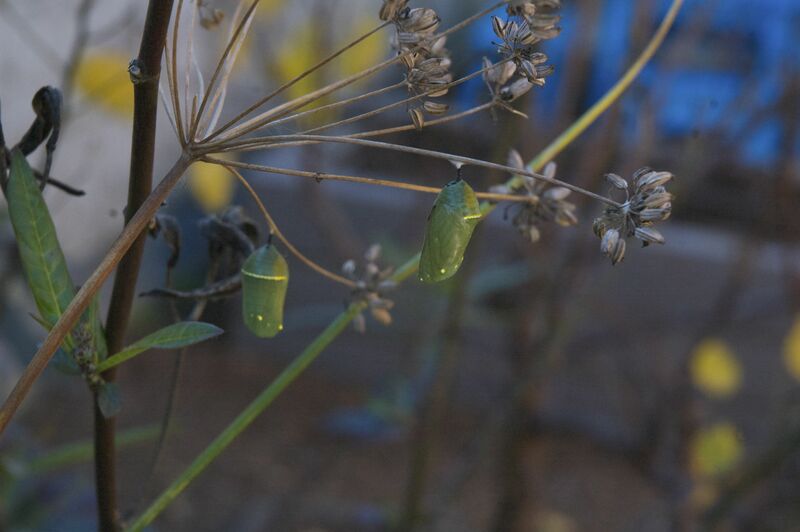 Besides caring for their gardens, students study sustainability, life cycles, social and cultural implications connections to agriculture, and their roles as stewards of the Wildwood gardens. It’s a welcoming environment for art, math, and science lessons. 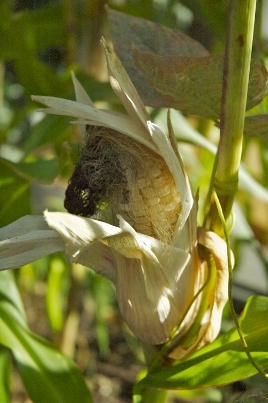 Students compost, plant, maintain, and harvest in the garden. There are seven raised beds, fruit trees, vines, a composting area, worm bins, a pollinator habitat, and a gathering area. The garden plantings are related to grade level curriculum. 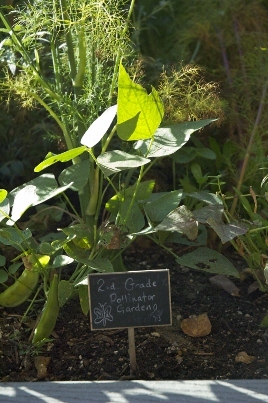 For example, when 5th grade students were studying the founding of the United States they planted a colonial herb bed. 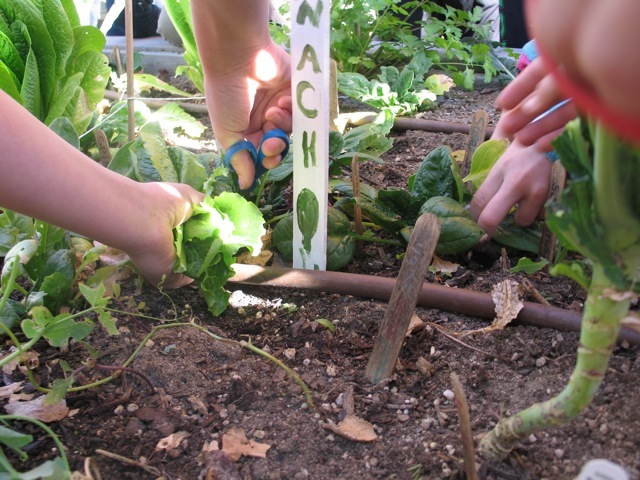 When 4th grade students were studying the Spanish influence on early California they planted a salsa garden. Students have studied water systems, conducted soil tests, and prepared meals from their harvest. 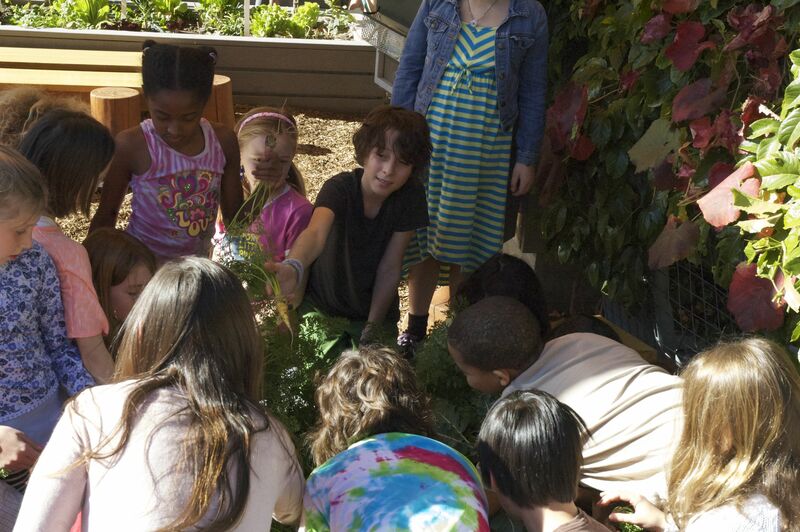 One of the most important components of the school garden is the role the garden plays in bringing the school’s community together. Wildwood’s student Community Involvement Leadership Team conducts presentations about sustainability and environmental responsibility for fellow students. They have also carried out a lunch table composting system so all students compost every day. All schools, both private and public, rely on parent volunteers to help raise money to fund essential projects. The tuition at private schools doesn’t cover the cost of educating a student, so additional funds are raised for programs and financial aid. Public schools have been hit by budget cuts and rely on parent volunteers to raise much-needed funds for programs, staff and other necessities. So, no matter where your kids attend school, you can be certain your help will be needed with fundraising. If you’re planning to join a fundraising committee or chair a big event, this book is an excellent resource. A Mom’s Guide To School Fundraising is a wonderful gem that can be used as your guide for how to successfully raise money for your kid’s school. 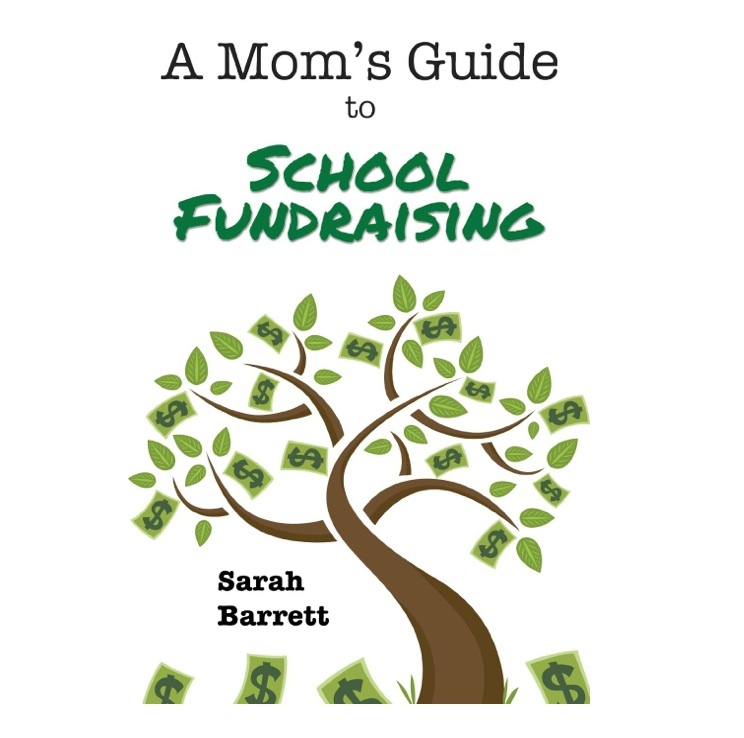 Sarah Barrett’s book offers an overview of the many different possibilities for school fundraising and how to plan and run these events/programs. Sarah’s been a PTA co-chair, raising thousands for her daughters’ schools. In the process, she’s written a go-to book that will help you go beyond the bake sale and take school fundraising to the next level. 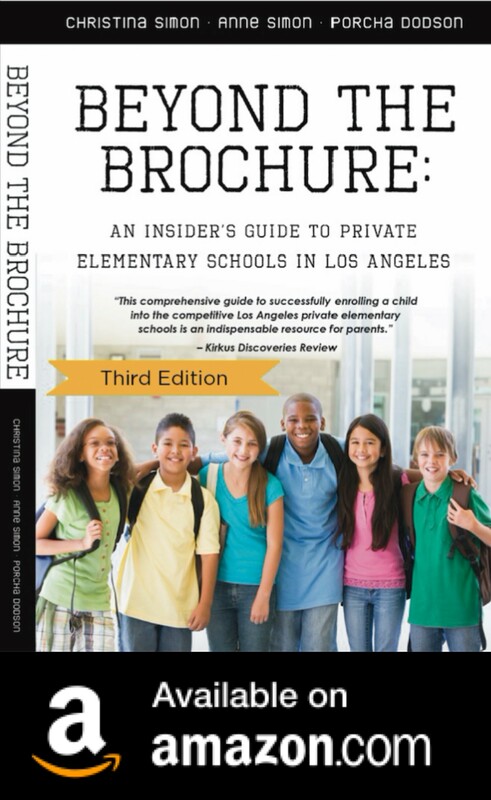 Importantly, this book talks about how to raise money for your type of school by analyzing what parents at your school will buy and what types of fundraising events they will–and won’t–support. A disconnect between what a school’s parent community will support and what a fundraising committee plans can spell failure, resulting in low event attendance and volunteer hours and money lost. What I love about this book is how Sarah uses her years of experience to explain a wide array of fundraising events, how to decide on the right event for your school (yes, she gives sample solicitation letters), how to plan and structure these events and how to manage your way to the day after the event when you’re exhausted and happy, counting up the money your committee has raised. Types of fundraising events from Auctions and Party Books to Walk-A-Thons, Carnivals, Holiday Boutiques, Golf Tournaments, Potlucks and Book Fairs. When I co-chaired our former school’s auction, it was a big, successful event and endless hours of hard work. When it was over, I left a huge binder filled with all my notes and work product with for the next co-chairs. Fundraising shouldn’t require reinventing the proverbial wheel, but too often when one group of volunteers is finished, the new group has to start over. This book will help you prevent that waste of precious time. Best of all, this book is like sitting down to brainstorm with Sarah and leaving the meeting with pages filled with great ideas. If you’re planning to help your school, private or public raise money, this book is a valuable resource for you and your volunteer colleagues. If you’ve been raising money at your school for a few years and you’re out of ideas, get this book for inspiration! If you’re working on a school auction, Sarah’s also written the Auction Success Kit, available on her website for $59.99. To buy a copy of The Mom’s Guide To School Fundraising, visit www.amomsguidetoschoolfundraising.com. The book retails for $14.99. This post was not sponsored or compensated. I received a copy of the book for review. Today’s Los Angeles Times reports that a teacher accused of inappropriate conduct during his tenure at Marlborough was recently fired from his job at Polytechnic. The LAPD is investigating allegations and both schools have issued statements. A detailed story was reported in BuzzFeed and posted on Beyond The Brochure’s Facebook page yesterday. Lots of interesting comments from readers there. 10:30 a.m. * Just added UK’s Daily Mail article about the investigation with a photo of the accused teacher. There is a common narrative that says moving from a progressive to a traditional school could mean your kid might be unprepared or even fall behind. I’ve never believed that sentiment, mainly because successful students come from all kinds of schools. I hope my kids’ experience helps further dispel that notion. Not surprisingly, some parents wonder (and often worry) about what the transition from a developmental/progressive to a traditional school will be like for their kid. I’ll admit, I was concerned too, but I tend to worry about everything, so this isn’t anything new. Will this change be smooth, with few adjustments needed to deal with different educational philosophies? Or, will the transition between different types of schools require tutoring, lots of hours studying and stress for their kid? Will programs align or will there be a big gap between the schools? Coming from a progressive/developmental elementary school, my kids entered their new traditional school with valuable skills and strengths. The approach to learning acquired during their early education is intrinsically part of who they are. Yet, crossing over to a new type of school meant they had to quickly learn new skills in areas that were unfamiliar to them. After seven years at The Willows, we realized it was time for our kids to make a change. By nature they are structured, competitive and self-motivated. This signaled to us that it was time to look at traditional schools. Below, I’ve listed some of the most/least challenging aspects of the progressive-to-traditional school transition for my kids. 1. Standardized tests. Generally speaking, progressive schools place less emphasis on the value of standardized tests than their traditional counterparts. Therefore, very little time is spent preparing kids for these tests. In progressive schools, classroom work isn’t geared to generating high standardized test scores and the way material is taught differs from the way it appears on standardized tests. During the 4th grade ERBs (mandated for all Independent Schools) at Willows, my daughter got strep throat and missed 4 out of the 5 test days. We asked for a make-up test date and were told there wasn’t going to be an opportunity to make up the test. Let’s just say that response didn’t go over well with my husband who pushed for a make-up test, which was administered for my daughter (it was optional for other kids). The concept, Teach To The Test isn’t found in progressive schools, while there are some traditional L.A. private elementary schools that spend substantial time getting kids ready for standardized tests. Test-preparation was money well spent to prepare my daughter for the ISEE (middle school entrance exam). 2. Learning how to take a traditional test. Traditional schools give tests using multiple- choice questions. Sometimes, there are essay and multiple choice portions, but rarely are there tests that only have an essay question. The way progressive and traditional schools test similar material (a book, for example) will be very different. For my kids, this required learning a new study skill. Multiple choice tests with answer choices that are very similar are common at traditional schools. This requires reading and studying with a focus on small details of a story, a poem or a chapter. Scantron tests were also new to my kids. 3. An increase in the amount of homework, tests and quizzes. At a developmental/progressive school, students are given more project-oriented work that requires research, collaboration, planning and writing. In a traditional school, especially in middle school, there is homework in every class and several tests and/or quizzes each week. Tests and quizzes were less frequent at our developmental/progressive school and the homework was much lighter. The first time my son heard the term “pop test” was this year. My daughter had to adjust to a heavy volume of tests and homework, a big jump from the previous year. 1. Organizational skills. My kids benefitted tremendously from their developmental/progressive school’s big, bold projects, which required extensive planning, organization and attention to a timeline/schedule. Staying organized, knowing what comes next and turning in assignments on time has been seamless for both my kids. 2. Working in groups. At the core of a developmental/progressive school is the belief that the sharing of ideas and working with each other is essential to learning. Collaborating with other kids, sharing and expressing thoughts, listening to others’ opinions respectfully are concepts my kids understand. There is a lot less group work at a traditional school, but my kids have leadership skills that have been recognized—and called upon—by their peers. 3. Critical thinking. My kids both developed excellent critical thinking skills at their former school. The ability to ask thoughtful questions both in class–and after class– is also something they learned because it was encouraged. Asking questions and questioning the teacher (appropriately…think debate style) are essential skills progressive schools can teach kids. Ultimately, your kid’s personality and other factors, along with your own preferences, will help determine the type of school that’s right for him/her. For my kids, a progressive elementary school worked well, but as the kids got older we knew we wanted a more traditional secondary school, one that aligned more closely with their interests and goals. I’m grateful my kids will have the benefit of both progressive and traditional private schools.